30 days before the license expiration date, Veeam Agent for Linux will display a warning at the top of the control panel. 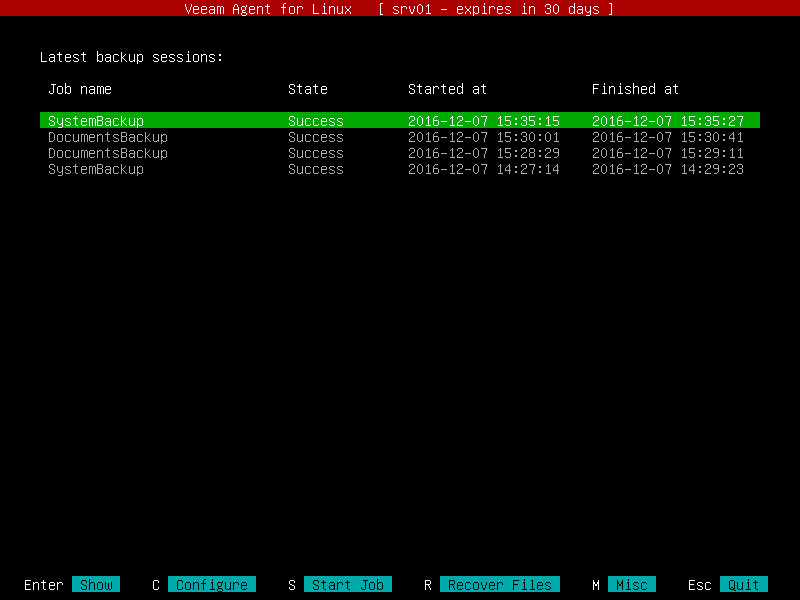 After the license expires, Veeam Agent for Linux will switch to the free mode. If Veeam Agent for Linux operated in the server mode and multiple backup jobs were configured, after switching to the free mode, all backup jobs will be failing. If pre-freeze and/or post-thaw scripts were specified for a backup job, after switching to the free mode, this backup job will be failing. You can switch to the free mode manually at any time if necessary. To learn more, see Removing License.